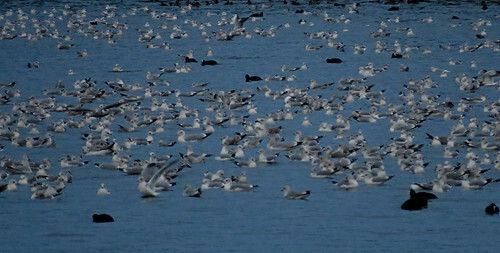 November merged into December as gull roosting continued at Tophill Low NR in East Yorkshire. Weather conditions vary daily, with the waters of D reservoir flat calm or with waves like an inland sea! Southwest winds have dominated and the gull roost totals remain on the low side. But that doesn’t mean there aren’t birds to find. 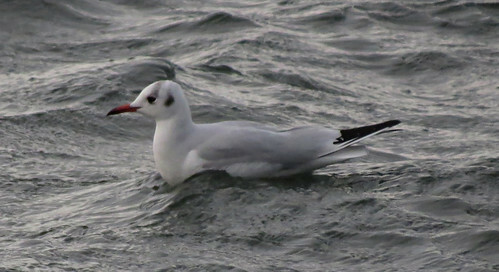 Numbers of Black-headed Gull Chroicocephalus ridibundus dropped off from November 27th, which presumably relates to the lack of Mediterranean Gull Ichthyaetus melanocephalus. 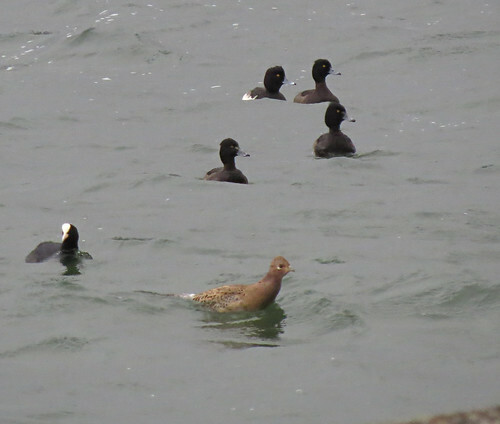 Sightings over the 15 day period November 27th – December 11th involved four 1st winter and two 2nd winter birds. However, unusually the Herring Gull Larus argentatus numbers held up nicely, so it was unsurprising that an adult Caspian Gull L. cachinnans appeared in the roost on November 26th. A total of 5-7 Yellow-legged Gull L. michahellis appeared between the 26th and December 11th, continuing the good recent run for this species. 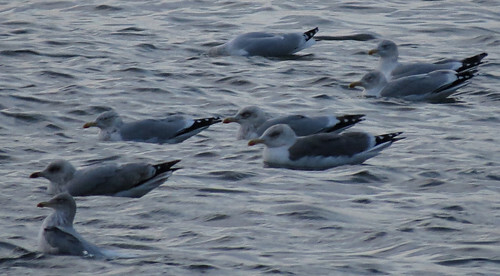 The large larid group is a notoriously a difficult complex to try and understand, and the masses of Herring Gull L. argentatus will bring oddities with them. This one above being a prime example. With some thought, and further discussion, perhaps a young adult pure ‘northern’ argentatus or a Herring Gull x Lesser Black-back Gull L. fuscus hybrid? The answer will never be known! 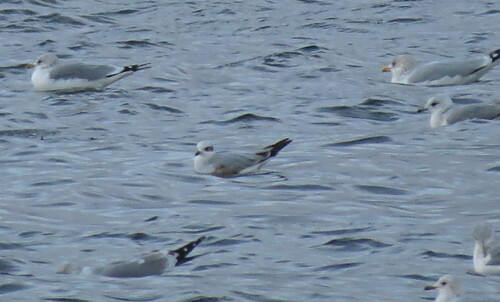 An immature bird of this type was seen during the winter of 2013/14 gull roosting period. Odd looking gulls weren’t the only surprises appearing inside the concrete walls of D reservoir – this Pheasant Phasianus colchicus failing to cross the water made for an unusual photo! Away from the gull roost, there are still interesting fungi to see. This Ischnoderma benzoinum Benzoin Bracket on Spruce Picea spp. a Tophill site scarcity with perhaps less than five previous records. Due to the time of year, and cooler temperatures, moth trapping has been scaled back following the endeavours of summer. 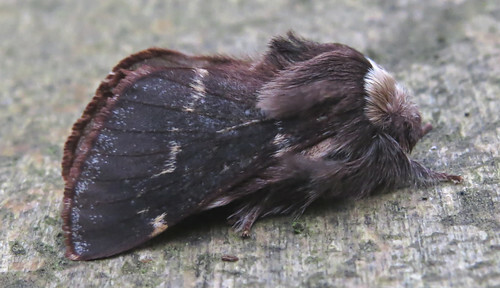 However, this December Moth Poecilocampa populi pictured below was one of four trapped overnight on November 27th, and a Dark Chestnut Conistra ligula on December 4th was the first taken at light since October 24th – and became the 13th individual trapped since 2006!!! Tophill Low as ever is full of surprises – check out the official blog here.